The success of any business often depends on its ability to retain good employees. Whether it's a small company with just a few staff or a large organisation with multiple offices, businesses function best when they have a team of talented people focussed on performing not only individually, but combining to help the company reach its goals. In the modern job market, skilled professionals are in high demand. Gone are the days of employees staying in one job, with one company, for most of their working life. Instead, talented people are willing to trade long-term stability for personal development, career advancement, better work-life balance, or to find a more compatible company culture. That means that businesses that fail to look after their employees, and meet their expectations, risk losing them to another that will. Companies shouldn't wait until they have a problem with high staff turnover before they implement employee retention strategies. Every company that seeks to thrive should build into its basic operation a range of measures designed to keep employees happy and motivated, so they stay with the business for as long as possible. It may come as a relief to dismiss an employee who wasn't performing, was disruptive, or had a bad attitude, but it hurts to lose a star performer who chooses to go. After the time and investment in finding the right person for the role and developing their on-the-job skills, it's back to drafting the job vacancy ad, while their expertise and institutional knowledge heads elsewhere. It may not reflect badly on the company if the person's reason for leaving was personal, such as to raise children or move to another part of the country, or they decided to change careers or further their education. It does very little for the business' long-term prospects, however, if it is losing people because of factors it can control, such as the relationship between workers and management, the company culture, or staff feeling overworked and unappreciated. Talented people want to apply their skills, and expect to be recognised and rewarded for it. They want opportunities to develop their expertise and experience by doing challenging, meaningful work that helps the company achieve its goals. If they are given reason to feel the company doesn't care about them or their career, they will have little reason to care about the company. If employees become unmotivated and disengaged, who could blame them for finding another position somewhere else? Reducing employee turnover makes good business sense. Losing a worker costs, both in financial terms – estimated to be 3 times the salary of any person who has held a position for 12 months or longer – and the time and effort it takes to recruit a replacement, bring them onboard, and train them to do the job. After all that, there is no guarantee the replacement will be as adept as the person who left, and in the meantime, there can be a drop in productivity and morale as other workers take up the slack. New Zealand has a high rate of employee turnover. According to the 2016 national Staff Turnover Survey, the national average turnover was 18.8%, the highest rate since 2008. More recent research by recruitment company Robert Half found that bosses expected around 340,000 workers to leave for another job in 2018. This is despite the fact that 99% of the businesses surveyed had employee retention initiatives in place. Skilled workers can be in short supply and research into employee turnover has highlighted the need for companies to make concerted, creative efforts to keep their top employees for as long as possible. Taking a strategic approach to retention gives you the best chance of developing a stable, loyal workforce, so the company can focus on hitting its targets, while also being more attractive to other highly-skilled workers. No two people are exactly alike. Employee retention strategies work best when they offer a variety of initiatives and benefits, so individuals can choose the ones that work best for them. Planning should start before anyone is hired, so you know what the business needs, what you are looking for in a candidate, and how that person will fit into the existing team. Once a person is selected, they should clearly understand the business' expectations and the company should understand theirs. Open communication is key. Work with employees to figure out their career goals, then develop a plan that will help realise them. Some people will be more driven by rewards such as better pay and benefits, or promotion opportunities. Others may be more motivated by developing and learning new skills, or having more flexible working arrangements and a better work-life balance. Understanding the needs of your employees and having a range of measures to meet them strengthens commitment, morale, and loyalty, and shows people they are valued. This helps create a positive work environment where people will want to extend themselves and focus their talents on helping the business succeed. 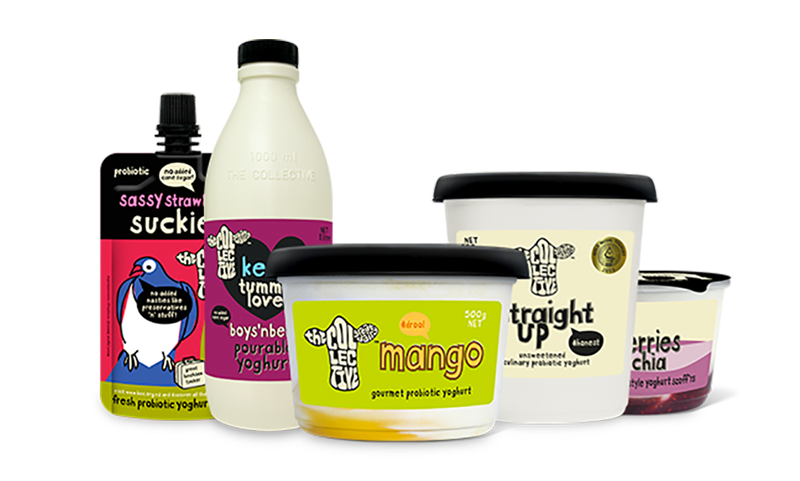 Gourmet dairy company Epicurean Dairy has grown from a New Zealand business of 80 people to a global brand (The Collective) with over 140 employees in NZ and the United Kingdom. That's in just two-and-a-half years. The company recognises that the strength of their business relies on hiring and retaining talented people. They utilise leading-edge HR software and guidance to make consistent recruitment and performance decisions, working to provide employees with ongoing development and advancement opportunities. Another important part of employee retention is offering attractive benefits and perks as part of an employment package. Benefits demonstrate to employees that the company and management cares about them. While pay raises and performance bonuses are the most traditional way to retain and attract skilled people, other tools such as increased leave options, opportunities to enhance work-life balance, travel subsides, and a range of discounts or free offers can go a long way to making their working lives more comfortable and enjoyable. Offering a mix of recognition, development, and wellbeing programmes gives employees the chance to choose the benefits that suit them best. In return, the business can expect increased commitment and productivity, higher job satisfaction, and less absenteeism. But be aware that many employees view perks and benefits as nice-to-haves rather than must-haves. If people have reason to feel disinterested, mistreated, or dispensable, it's unlikely they will want to perform well enough to merit any extra rewards. Then either the business will look to move them on, or they will do so themselves. Others may soon follow.